Many thanks to Tesco Community Champion Lyn Rabett and all of the staff and customers at Tesco Highwoods for making us so welcome today. 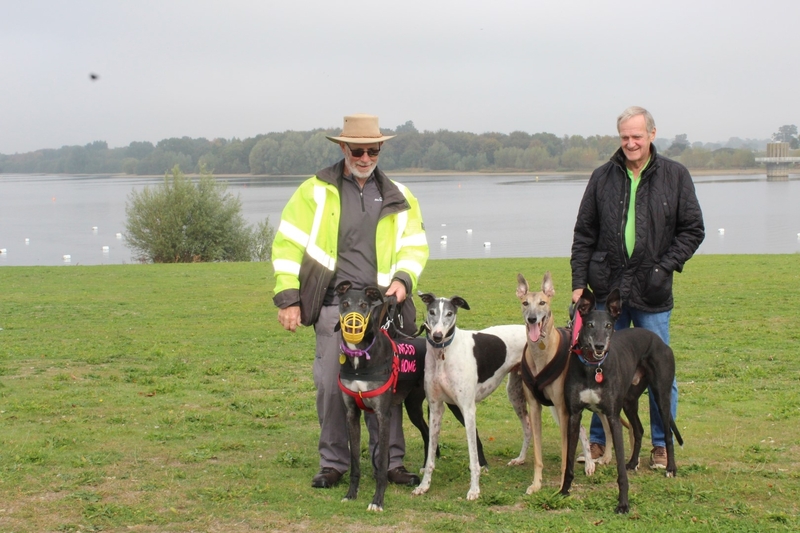 We took along kennel dogs The Doctor, Chilli and Casey who were shown the ropes by our Greyhound Ambassadors Spring, Davey and Joe. Thanks to everyone who took the time to chat to us and for the generous donations. 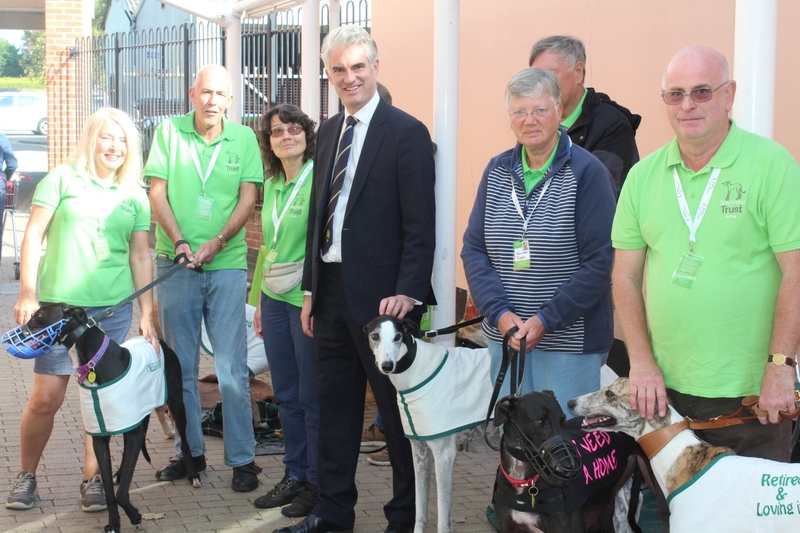 ‘The Doctor’ (Droopys Who) with our Ambassador Spring. It’s been another busy week at kennels. Grace went home, Blue came back (he would prefer a family that doesn’t work full time) Chilli didn’t go home so is available again, Dear old Revie had a couple of viewers, Leo went for a walk at Alton Water and we held a meet and greet session at the Co-op in Hadleigh with kennel dogs Seb and Fabia. Both boys were so well behaved and made a good impression on local MP James Cartlidge who visited our stand. 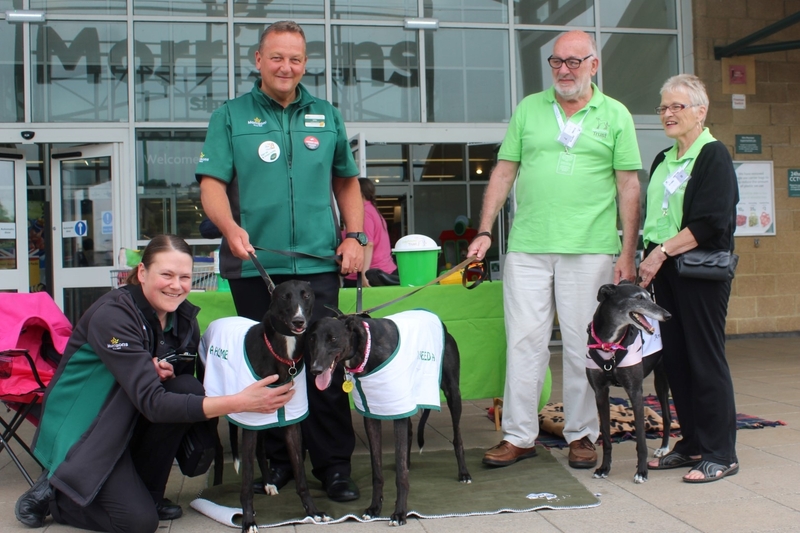 Thanks to our Greyhound Ambassadors Spring, Troy, Roy, Toby and Teddy, to the staff and management of the Co-op and to the generous public who gave donations and took the time to chat to us and our dogs. Leo with the yellow muzzle walking with his Volunteers Terry and Pete and his new found friends Massey, Toby and Fox. Wow! What a welcome we received at Morrisons in Dovercourt today. A big thank you to Cally for allowing us to visit, John from the Customer Services team for looking after us all day and to all staff for making us feel so welcome. What a team. What generous customers too. You donated an absolutely amazing sum of £347.99. Our heart felt thanks to all who contributed and to those who took the time to chat to us and our hounds Spring, Jodie, Jill, Missy and Dart. We have had a fantastic day at Tesco Copdock today. Kennel dogs Casey and Dart joined us along with of our fine ambassador Spring. 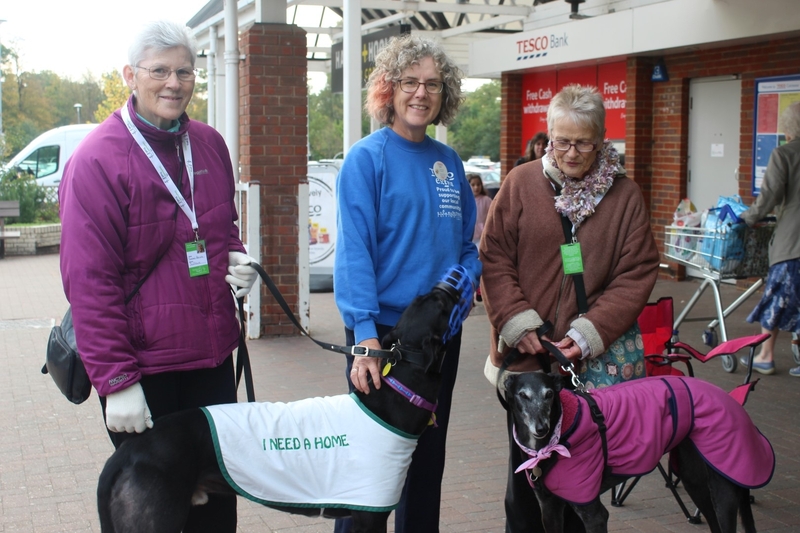 Many thanks to Mandy and the Tesco team for making us so welcome and to all of Tesco’s customers who stopped to chat and made such generous donations. The total amount raised will be posted once counted. We have a busy weekend ahead! Friday 18th we are holding a meet and Greet Session at Tesco Copdaock between 0.930 and 17.30. If you are shopping please stop and say hello to our kennel dogs. Sunday 20th we will be joining Greyhound Walks. Details below. Sudbury Water Meadows. 20th May 2018. 11am. Please note we will be joining Greyhound Walks for this walk and as per their policy it will be for sight hounds only. We hope to have some kennel dogs joining us. Many thanks to the organisers of the Hadleigh Market for allowing us to hold a meet and greet session today and to all those who stopped to chat to us and make donations. 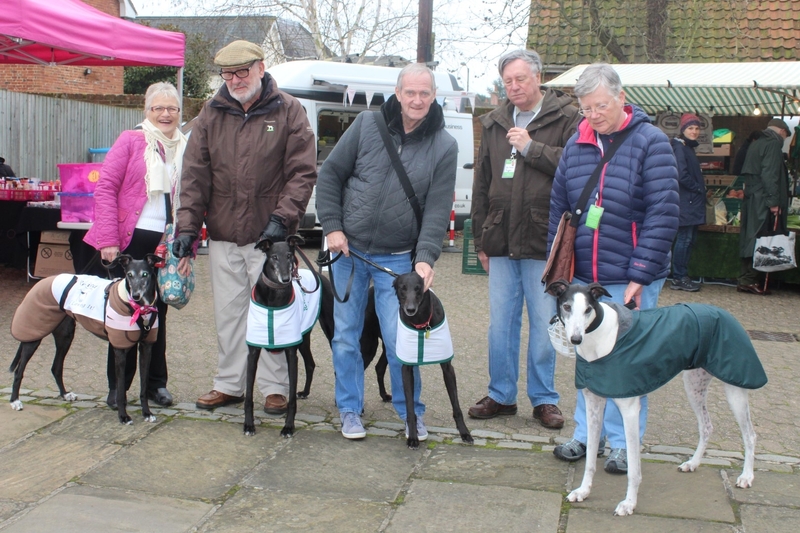 Homed hounds Troy, Spring and Roy came along to support kennel dog Noah and to act as fine ambassadors for the rest of their friends waiting back at kennels for their forever families. 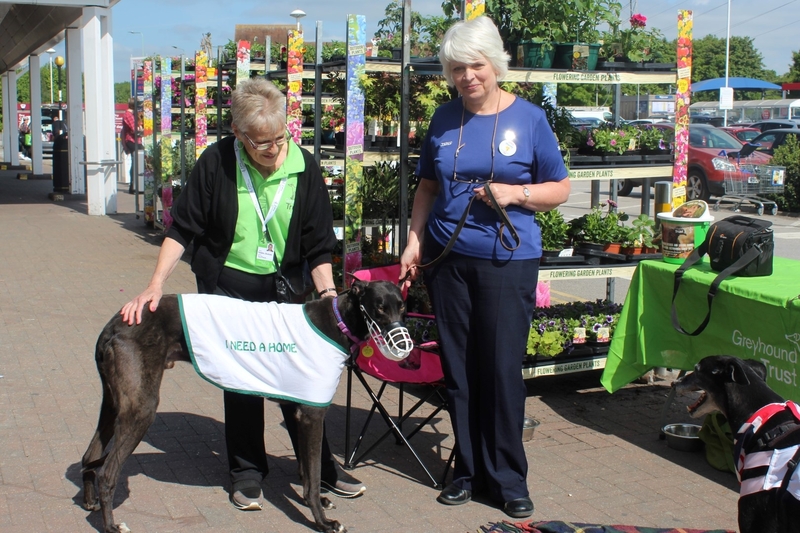 Many thanks to all at Tesco Martlesham for making us so very welcome when we visited the store today for our meet and greet session. Thanks also to their customers for their generous donations of £251.90. Kennel dogs Keith, Max, Lofty and Missy were our ambassadors for the day and did an outstanding job. 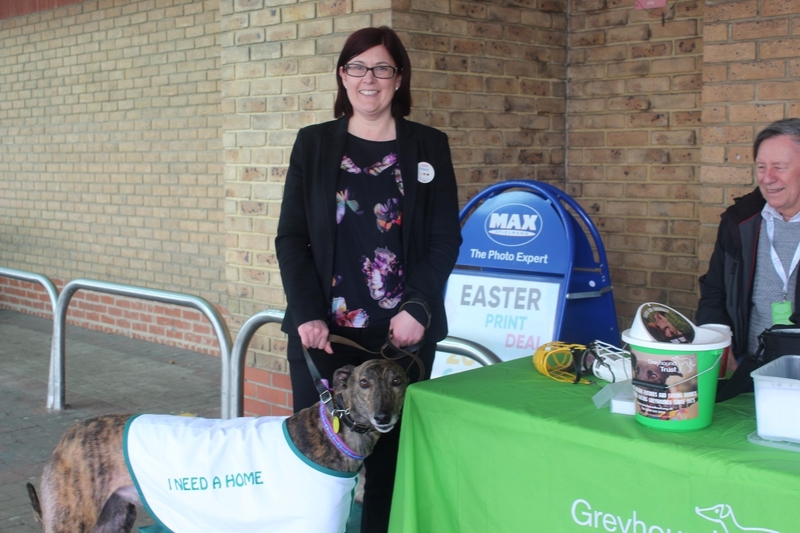 Many thanks to the team at Tesco Highwoods, Colchester for welcoming us to their store on Friday and Saturday for two meet and greet sessions, to their generous customers for the fabulous donations totaling almost £380 and to everybody that took the time to stop and speak to our lovely hounds Warrior, Keith, Ennis, Blaze, Benny and Diva. 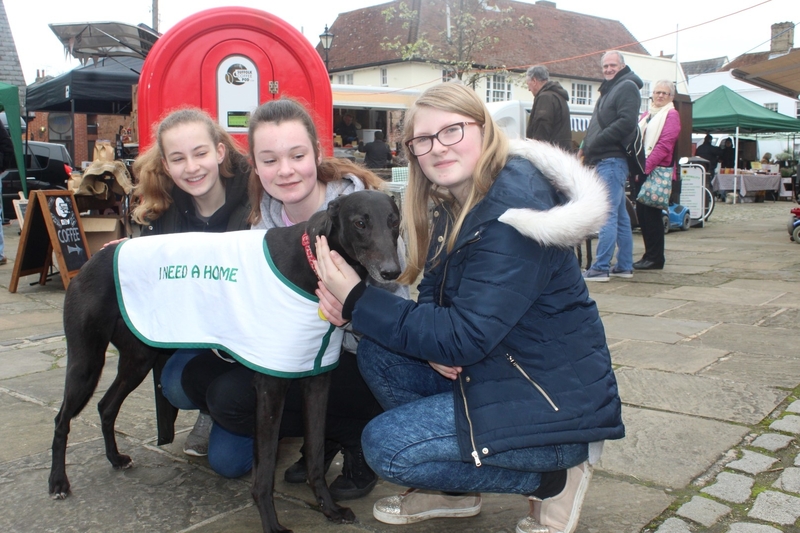 Thanks also to Roy and Spring, two of our lovely homed hounds who also lent a paw. We will be holding meet and greet sessions on Friday 29th and Saturday 30th September at Tesco, Highwoods, Colchester CO4 9ED. from 10am to 4pm Do stop and say hello if you are in the area. Many thanks to the team (Luke, Oliver and Sarah) of Saffron Builiding Society in Frinton and their customers for welcoming us into their branch today. Kennel dogs Bernie and Hattie met lots of people and were given some lovely treats. They were given duvets, towels, shredded paper and Tuna to take home and share with their kennel mates and a generous £61.25 was donated. Below is a photo of the team with Volunteer Angie, Kennel dogs Bernie and Hattie.